Though the word ‘bipolar’ is often misused in colloquial terminology, it’s a disease that should never be taken lightly. Because of the deep stigma and general lax attitude surrounding discussions of mental health, there has hardly been a conversation built around bipolar disorder, but when it comes to women, the situation has been far more dismal. Bipolar disorder, also known as manic-depressive illness, is nothing but a type of mental illness that causes unusual shifts in mood, energy, activity levels, and the ability to carry out day-to-day tasks. During such “manic episodes”, moods range from periods of extremely “up,” elated, and energized behavior to very sad, “down,” or hopeless periods. Less severe manic periods are known as hypomanic episodes. Unfortunately, bipolar disorder in women is misdiagnosed almost three times as often as it is in men. While the disease is often difficult to diagnose at one go for a psychiatrist because of its varying range of symptoms, with women it becomes all the more difficult because they experience the depressive phase of bipolar disorder far more intensely than the manic phase, whereas men are known to do the opposite. Doctors have, historically, tended to dismiss symptoms of bipolar disorder in women as only ‘depression’ or extreme sadness rather than see it as the complex two-pronged illness that it is. They will often prescribe anti-depressants to counter the symptoms without realizing that each woman’s reactions to such drugs is different, and too often than not, they might accelerate the intense manic phases of a BPD patient. 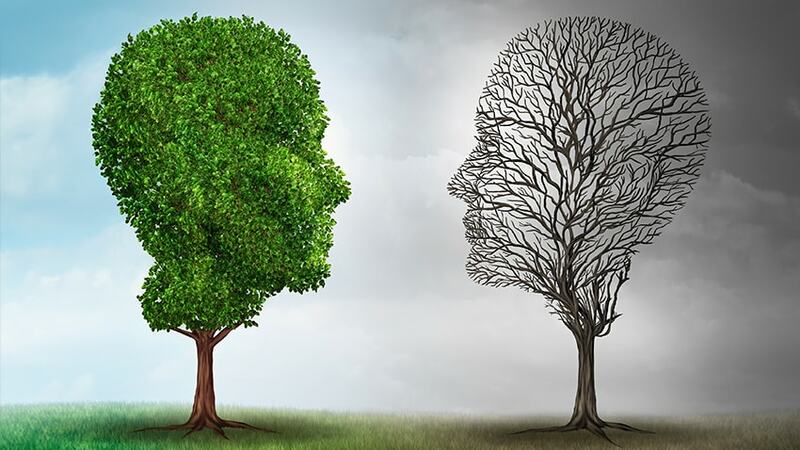 Bipolar Disorder was recognised as a legitimate form of mental illness only in the late nineteenth and early twentieth century onwards, and even then, the approaches to curing it were far from ideal. Women suffering from manic or depressive phases were clubbed under the broad made-up disease called “hysteria”, which was nothing but an excuse to dismiss the mental health concerns of women and to write them off as ‘insane’ or ‘delusional’. Many found themselves institutionalised, given the wrong treatment, and driven to greater manic phases from the medical neglect. Modern times have not been too different. The women who have been misdiagnosed and medicated go through a constant intense manic phase (which many a times leads to self-destructive impulses) before they can be re-examined and given the right kind of treatment. It is because doctors look for the more studied “male” version of the disease during the process of diagnosing, that they ignore the gender-based hormonal differences involved and end up missing the distinguishing signs of bipolar disorder in women. While men and women are equally susceptible to the disease, bipolar disorder does affect women differently than it does men. For example, women are far more likely than men to develop bipolar II disorder, which is a less severe form of the illness. In addition, women may experience a greater number of “mixed” episodes, where they experience symptoms of the depressive manic phases simultaneously. The most common sign of bipolar disorder in women, however, is of something called rapid cycling. Rapid cycling is when one experiences four or more episodes of depression and mania in one year – and women go through this far more often than men do. Without the right kind of treatment, bipolar disorder can be extremely dangerous to anyone, but with the addition of misdiagnosis and incorrectly prescribed drugs, women are much more vulnerable to the disease. The symptoms would rarely go away on their own, and would tend to increase in intensity. Those who suffer from it may become restless and desperate, turning to anything that will ease the severity of their symptoms, which might result in drug or alcohol abuse. With long-lasting episodes of mania, people have even been known to take sedatives that have proven harmful in the end. These forms of substance abuse can, hence, make the bipolar disorder worse, causing all the more complications. Fortunately, multiple Indian hospitals and clinics have begun to research on bipolar disorder and is offering treatment for it. If you think that you may experience any of the symptoms that might fall under a manic or depressive episode, it is advisable to consult a trusted doctor immediately, and to properly research the kind of drugs they prescribe (lest these drugs be non-BPD-friendly). But if doctors or medical resources aren’t easily available, there can be ways of administering self-care too. Monitor your moods, keep to a strict healthy diet and sleeping patterns, get exercise, try to extract yourself from distressing situations, and you’ll have a better handle on your BPD. However, BPD is a disease that, sadly, cannot be kept in check entirely without the right medication, so to seek medical help is almost necessary. But most of all, it’s important to be aware of the disease itself, and the kind of symptoms you are experiencing, and where they fall within the spectrum of bipolar disorder. The only way to combat the large-scale misdiagnosis and ignorance of female experiences surrounding BPD is to be informed yourself, and to be able to understand when a doctor is misleading or dismissing you. With a healthier lifestyle and treatment, people who suffer from BPD can actually lead perfectly normal lives, and to strive towards that goal would only be possible if women’s experiences with BPD are given as much importance as men’s are.